There has been a 28% decline in arts GCSE entries since 2010. Primary school children often get no art teaching from one term to the next. Students from low-income families who take part in arts activities at school are 3 times more likely to get a degree. We believe that the arts can change children’s lives. We believe that all young people should be given the opportunity to explore their own creativity and develop their unique talents. We know that the majority of children going into school now will do a job that doesn’t yet exist. Creativity will be a key skill in all these jobs, because it can’t be replaced by a machine. The UK Creative Industries are worth £92 billion a year and provide 1 in 11 jobs currently, growing at twice the rate of the economy as a whole. And the arts are the catalyst not just for the creative industries, but for all industry, from engineering to automotive to advertising.  For the past 6 years, our dot-art Schools programme has been trying to address these issues, by working directly with schools across both the Liverpool City Region and Cheshire. We have so far engaged over 5000 children but aim to reach far more. We know that many more schools would like to work with us but either do not have the resources, or are not aware of the programme. This is why we need YOUR help. 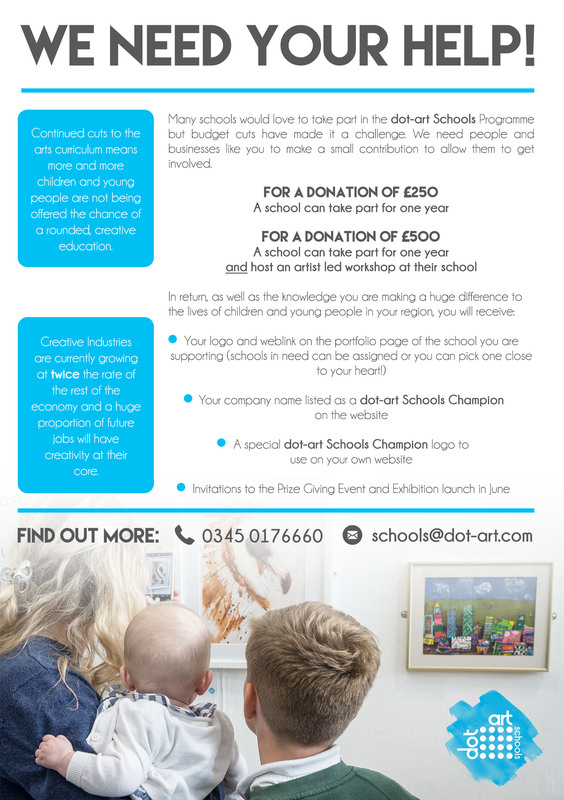 For a donation of just £250 you or your business can Champion an individual school to take part in dot-art Schools and make a HUGE difference. You can either pick a school close to your heart or we can assign you one in need of help. 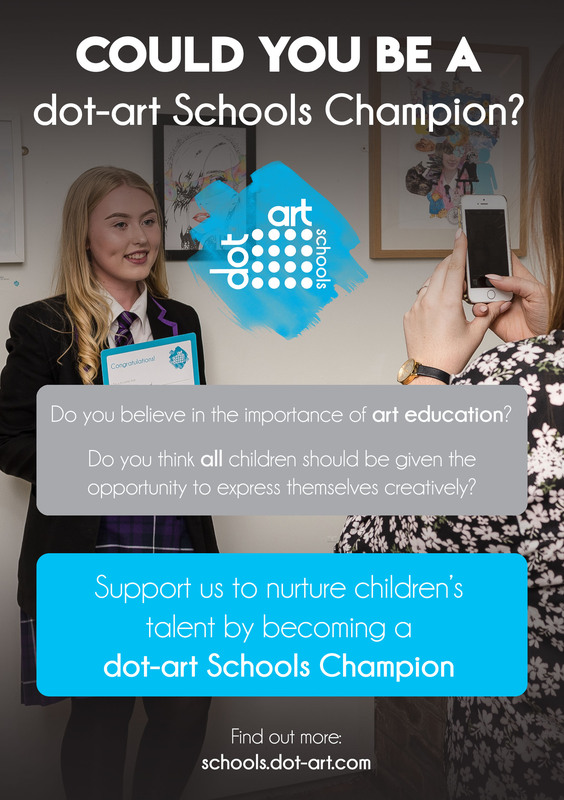 Please consider becoming a dot-art Schools Champion – to find out more email schools@dot-art.com or call 0345 017 6660.